SAUDI ARABIA – Acciona and a consortium of partners have won a $859 million contract to finance, design and build the new Shuqaiq 3 desalination plant. The contract was awarded by Water and Electricity Company (WEC) and will be implemented under a build, own, and operate model. Shuqaiq 3 will be one of Saudi Arabia’s biggest desalination plants with a capacity of 450,000 m3/d. To limit power consumption, the facility will utilize a solar photovoltaic facility. The plant is scheduled for completion in 2021. PERU – Yokogawa América do Sul, a Yokogawa Electric subsidiary, has won a contract from Técnicas de Desalinización de Aguas (Tedagua) to provide a control system for the Provisur desalination plant in Peru. When completed, the Provisur facility will supply 35,000 m3/d to 100,000 residents of the Santa Maria district. Yokogawa is scheduled to deliver the systems in April this year, and the desalination plant is estimated to start operation in June 2019. AUSTRALIA – This past week, a blaze has been burning along the banks of Melbourne’s largest dam. This fire could potentially threaten the city’s water supply, and firefighting efforts to control the blaze could inadvertently pollute the water supply at the Thomson Catchment Complex Dam. Experts also fear that the fire—and sustained logging— will lead to an abundance of regrowth by young trees, which could prevent water from flowing into the dam. Victoria’s Water Minister stated that the state’s water supply has remained safe and that the Victorian Government is prepared to order water from the state’s desalination plant in the event of supply issues. QATAR – According to new research by MEED, by 2025 the demand for water in Gulf Cooperation Council (GCC) states is set to increase by 62%. To address this projected increase, more than $80 billion worth of water and wastewater projects are currently underway or planned in the GCC. Many of these projects will be implemented through public-private partnership (PPP) models. INDIA – Gradiant Corporation, an American wastewater treatment company, has won added four zero liquid discharge (ZLD) projects to its operations in India. The projects are in the sectors of textile processing, caustic soda, pharma, and dyestuff. The first two projects will go online by March and August. “ACCIONA consortium bags $859m contract to build desalination plant in Saudi”, arabianindustry.com, Feb 3, 2019 <https://www.arabianindustry.com/construction/news/2019/feb/3/acciona-consortium-bags-859m-contract-to-build-desalination-plant-in-saudi-6034002/#close> accessed Feb 5, 2019. 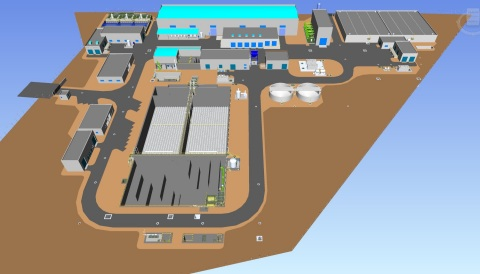 “Yokogawa secures Peruvian seawater desalination project contract”, water-technology.net, Jan 30, 2019 <https://www.water-technology.net/news/yokogawa-secures-peruvian-seawater-desalination-project-contract/> accessed Feb 5, 2019. 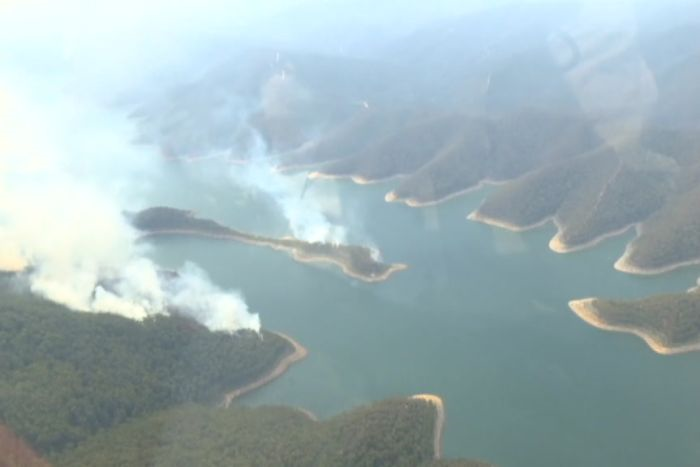 Richard Willingham “Thomson dam fire threatens Melbourne’s biggest water supply, desalination plant on standby”, abc.net.au, Feb 1, 2019 <https://www.abc.net.au/news/2019-02-01/thomson-dam-fire-threaten-melbourne-water-supply-desalination/10770718> accessed Feb 5, 2019. Satish Kanady “$80bn worth of water, wastewater projects under way across GCC”, thepeninsulaqatar.com, Feb 4, 2019 < https://www.thepeninsulaqatar.com/article/04/02/2019/$80bn-worth-of-water,-wastewater-projects-under-way-across-GCC> accessed Feb 5, 2019. “Gradiant secures four ZLD projects in India”, thehindu.com, Jan 29, 2019 <https://www.thehindu.com/business/Industry/gradiant-expansion/article26122835.ece > accessed Feb 5, 2019.